Established since 1986, Ocean Butterflies now operates in five regions: Mainland China, Taiwan, Hong Kong, Singapore and Malaysia. Ocean Butterflies Music: music label, artiste management, music production, concert organizer, marketing & distribution network. Managing top regional artistes including JJ Lin, A-Do, Li Bing-bing, Kym, Rynn & BY2, etc. Touch Music Publishing: the leading independent music publisher in Asia. Administrating over half of a millions songs from all over the world. Having more than 100 exclusive songwriters who have written many hits in the last 2 decades. Ocean Butterflies Technology: An interactive on-line and mobile digital music platform. Partnering with strategic partners on extensive digital/mobile distribution & licensing network. Music Forest: an Ocean Butterflies musicology. 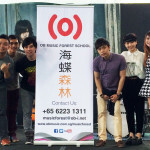 One of the biggest music schools in the Chinese-pop market which operates in Singapore, Malaysia & mainland China. Ocean Butterflies Communications: product branding / marketing and event organizing. 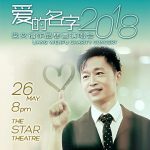 With these entertainment integrated marketing capabilities; Ocean Butterflies International has become one of the world’s largest Chinese entertainment groups.